Curiosity is another cool website we are adding to our professional development tools page here in EdTech and mLearning. Curiosity provides you with a daily dose of wisdom to spark your inner curiosity and push you to learn more. It’s one of the best ways to constantly engage your brain and improve your learning skills. 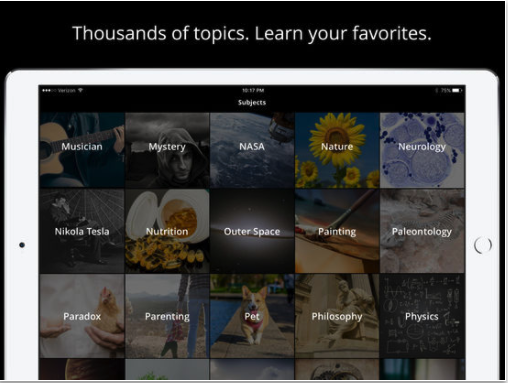 Curiosity features insightful knowledge from a wide variety of disciplines and covering various topics from history and art to science and technology news.